I am neither an arachnophile, nor am I an arachnophobe. I don’t run screaming at the site of a hairy black house spider scooting across the floor, neither do I particularly want to handle a hairy bird-eating spider. But, in the garden they can be fascinating and I think this dates back to my childhood when garden orb spiders would make big webs among the dahlias in autumn. Of course we are lucky in the UK and Ireland that there are no spiders to lurk in toilets or other places ready to shorten our lives. 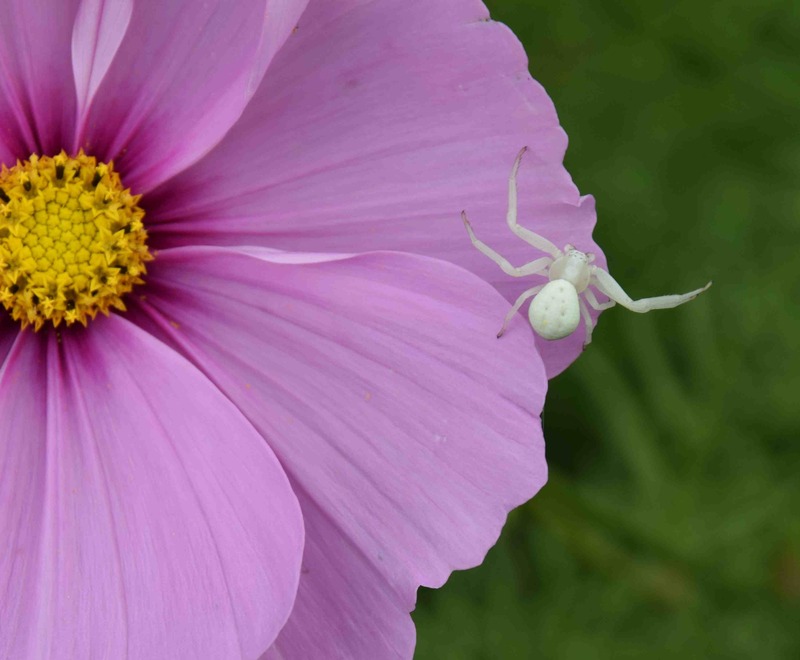 But I was surprised yesterday to find this little beauty on a cosmos flower. 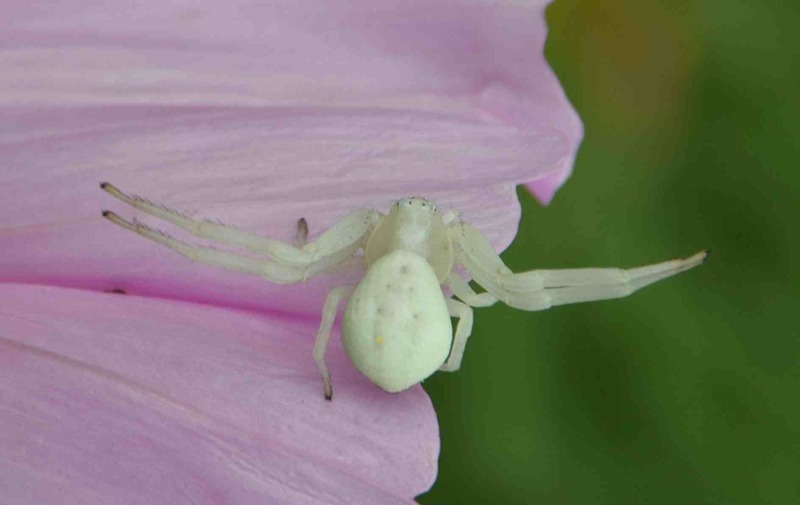 I have seen crab spiders featured on other websites (sorry about the pun) but I didn’t even realise that crab spiders were even native to the British Isles. I am pleased to say that they are, and this is Misumena vatia, found mostly in the southern half of the UK and also in Ireland, particularly, apparently, in Co. Wicklow. I am just south of that, in Wexford, so no mystery there. 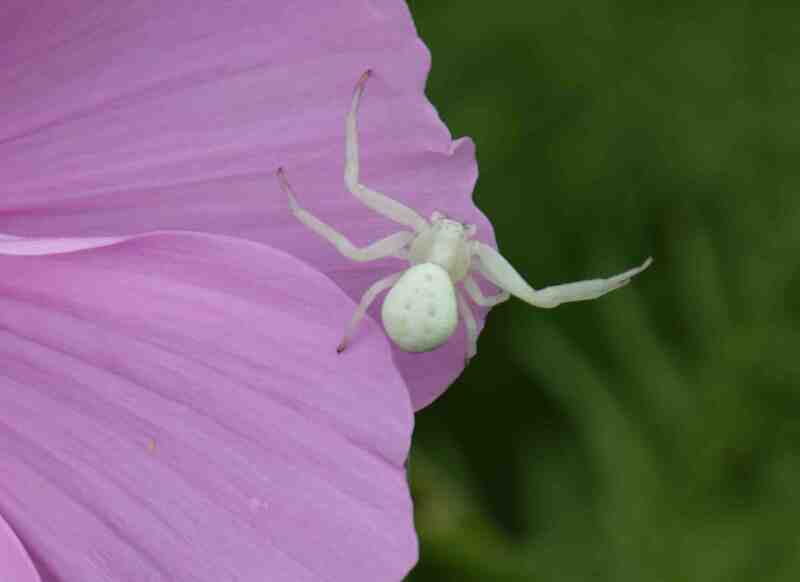 Crab spiders do not spin a web but wait on flowers to grab their prey, usually with their front legs arched forward. When prey approaches the spider lunges forward, grabs the prey and gives it a paralysing bite. 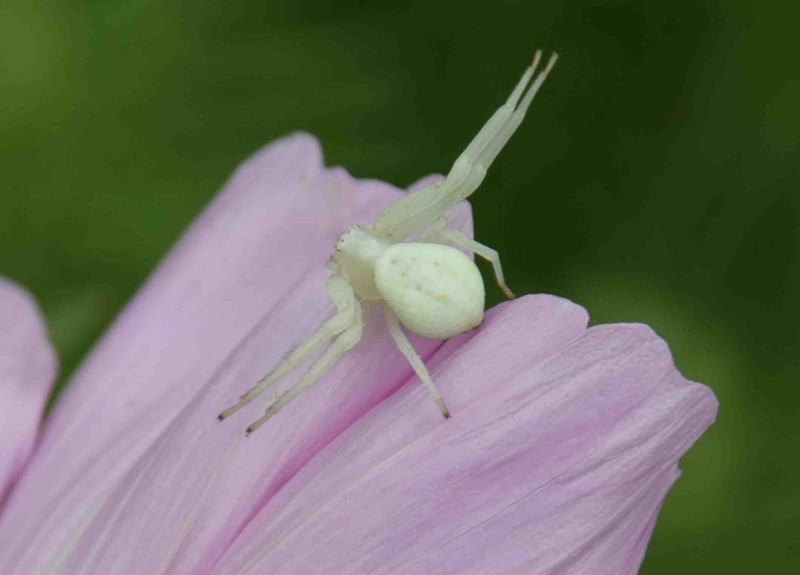 Mature females have the ability to change colour so they can disguise themselves on flowers, but the colour change is usually between white and yellow. Sometimes the female have red spots or stripes. So I was surprised that this white adult female chose a pink cosmos as a perch to wait for food when there were white cosmos mixed in with them. On the other hand, if she had not been so daft I might not have seen her! Males are much smaller and are marked with blue or black. I don’t remember seeing one but will now look out if they’re more common in Wicklow. Gr8 photos as usual!